The inexorable rise of supermarkets, particularly Tesco, is big news but have we taken on board what it really means for our daily lives? In this searing analysis Andrew Simms tackles a subject that none of us can afford to ignore. Click to launch video. David Yallop's new book The Power and the Glory is out today and to celebrate here's the first of several bonus features we have planned for you. This is a video interview of the man himself in which he discusses his illustrious, high profile background as well as his new book. In 2003 Andrew quit his job as director in a London merchant bank before getting called up to serve in Iraq as a T.A. officer. He was asked, out of the blue, if he 'knew anything about finance'. He said yes. And suddenly he was in charge of a fifth of Iraq's entire finances. 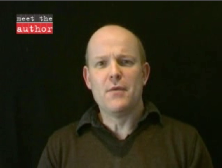 Andrew Simms is Policy Director of the New Economics Foundation (NEF) and a board member of Greenpeace UK. He is the author of Tescopoly and writes on various issues including climate change and globalisation.